Company Guimer Srl is a Producer of High Quality Belt Buckles. The Belt Buckles of Guimer Srl are produced in Italy, inside the Company, in several models and with several finishes. A wide range of Belt Buckles designed to satisfy increasingly demanding customers that looking for precious and unique Buckles. Please watch the Video Buckles Production to enter inside the Company. Guimer Srl has undertaken the way of Stainless Steel committing her activity to the development of a new Ecological product in support of the environment and respectful of the regulations in force. The New Collection of Buckles made in Stainless Steel is designed and produced in Italy by Guimer Srl and it is composed of 6 different models with 35mm height all offered with Stock Service facility and no minimum order quantity is required. A new production technology allow to avoid a lot of costs during Solid Brass Belt Buckles production, without losing quality. So Guimer Srl created Basic Collection Solid Brass Buckles starting from € 3,39 Shiny Nickel finished. 2017 has been the year of success for the production of Double Face Belt Buckles. In fact, Guimer Srl has designed and produced new models of Interchangeable Buckles available in different sizes. 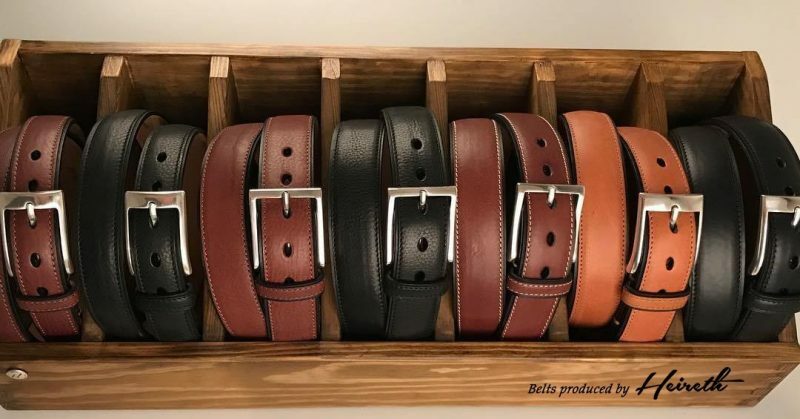 The Interchangeable Solid Brass Belt Buckles represents an added value for Double Face Belts as the Belt is not sewn directly on the Buckle and the closure system hides the Belt holes. The Interchangeable Solid Brass Buckles can be made in several Finishes. On request, the height of the loop could be produced according to the thickness of the belt. The Production of Belt Buckles of Guimer Srl is not only composed of classic and elegant models, but also of rafined and three-dimensional models made with the Reticube Technology. This Technology, patented by Guimer Srl, allow to create tridimensionally any type of Belt Buckles in any shape and size in several metals such as Solid Brass and Sterling Silver without mold costs. Reticube Technology offers the ability to customize 3D Belt Buckles according to customer requirements. Many Fashion Brands have entrusted Guimer Srl with the design and production of precious Solid Brass and Sterling Silver Belt Buckles. In addition to the Solid Brass Buckles, Guimer Srl is very committed in the production of Sterling Silver Buckles, which are very popular in the Fashion World for very precious, finely hand-finished Belts made by the most skilled and important Italian and Foreign leathergood Companies. Guimer Srl has designed a Sterling Silver Belt Buckles Collection from classic to the sophisticated design. A highly sophisticated process has made possible to produce beautiful models of Sterling Silver Belt Buckles. Guimer Srl has been able to interpret the needs of its customers without loosing the craftsmanship that characterizes all Sterling Silver Belt Buckles. What Buckle are you looking for? Beside the above Buckle Collections, Guimer Srl has a wide range of Men and Women Belt Buckles, whose images could be sent after a specific size request. Guimer Srl is able to provide a Complete Personalization Service from the study of the project to the creation and production of Custom Belt Buckles. Just submit a design and/or a sample with the desired size and finishing specifications to get a precise quotation. It is also possible to request the engraving of the logo and/or company name on all Guimer Srl Production Belt Buckles. It is possible to request the Card of all Finishing by making a simple sampling order for finishes. Guimer provides a Card of 32 different finishes to give you the chance to test the quality of galvanics of both Nickel and Nickel Free. Guimer Srl is at your complete disposal to answer all your question and invites to visit the Showroom to see all the Belt Buckles Collections at Calderara di Reno (Bologna, Italy), Via dell’Industria 8 a / b.
Compile the form below or call the phone number: +39 051 72 77 86 for any inquiry or visit request.